The glaciers made this nice trail for us. Hike 4 miles of the Ice Age National Scenic Trail for National Trails Day! The beauty of the Chippewa Valley will be your guide as the historic Ice Age Trail unfolds. The Ice Age National Scenic Trail is a 1,000-mile trail snaking across the Wisconsin landscape, unveiling the paths of glaciers more than 12,000 years ago as they carved out the terrain Wisconsinites know and love. This scenic trail is cared for by a partnership between the National Park Service, the Wisconsin Department of Natural Resources, and the Ice Age Trail Alliance. The trail begins on the border of Wisconsin and Minnesota at Interstate Park and winds east and south across the state before ending in the Sturgeon Bay area, with visitor and information centers dotting along the path it takes. Hikers should bring water, snacks, insect deflection options, sunscreen, appropriate footwear, and long pants. Please keep in mind that these trails can be challenging, so stay on the path, keep an eye on your hiking buddies, and respect the land! 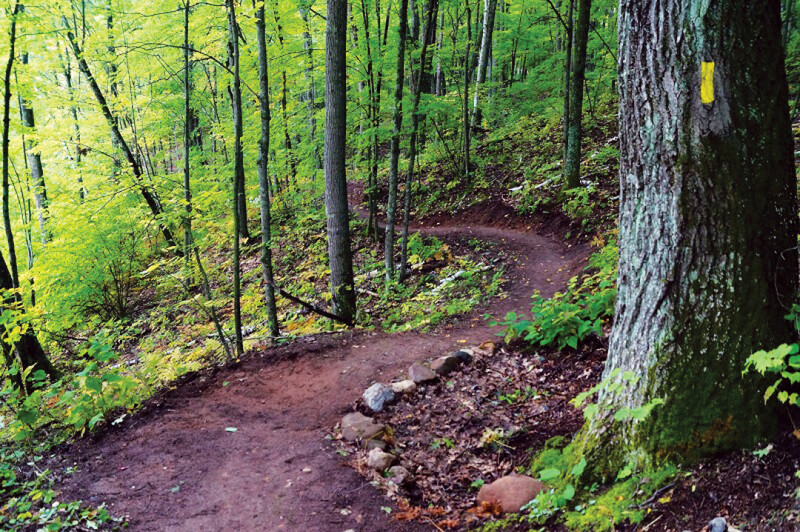 Wisconsin is lucky to have such a beautiful trail and a community dedicated to its care and maintenance, so why not venture outside to have some fun and learn about the trail? Find more information about the trail and the event at www.iceagetrail.org.